If you have the factory Vauxhall Coil Pack (4 pins) and Crank Sensor (3 pins) on your C20XE/Redop/X16XE/X14 etc, and are using carbs for fuelling, then this package is EVERYTHING you need to have it up and running in MINUTES! 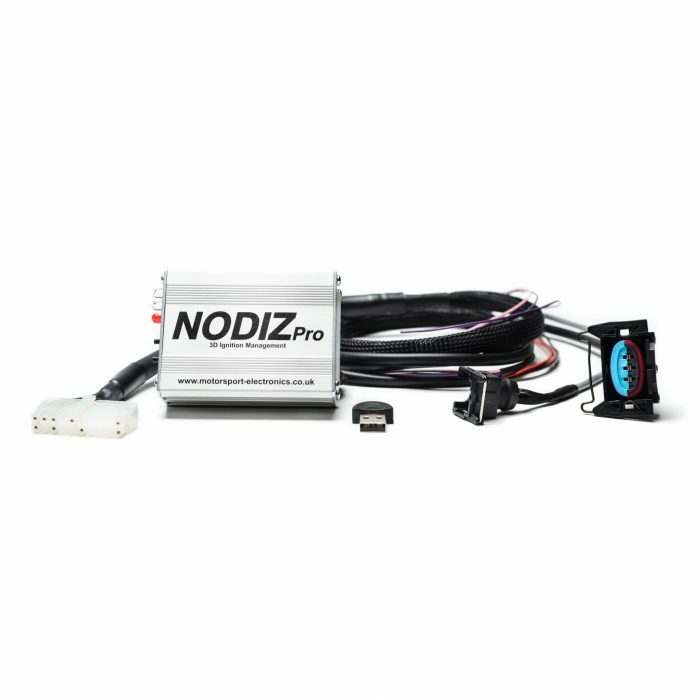 It’s a fully 3D map-able ignition system that varies the engines ignition advance based on both speed and optionally if required throttle position/manifold pressure. 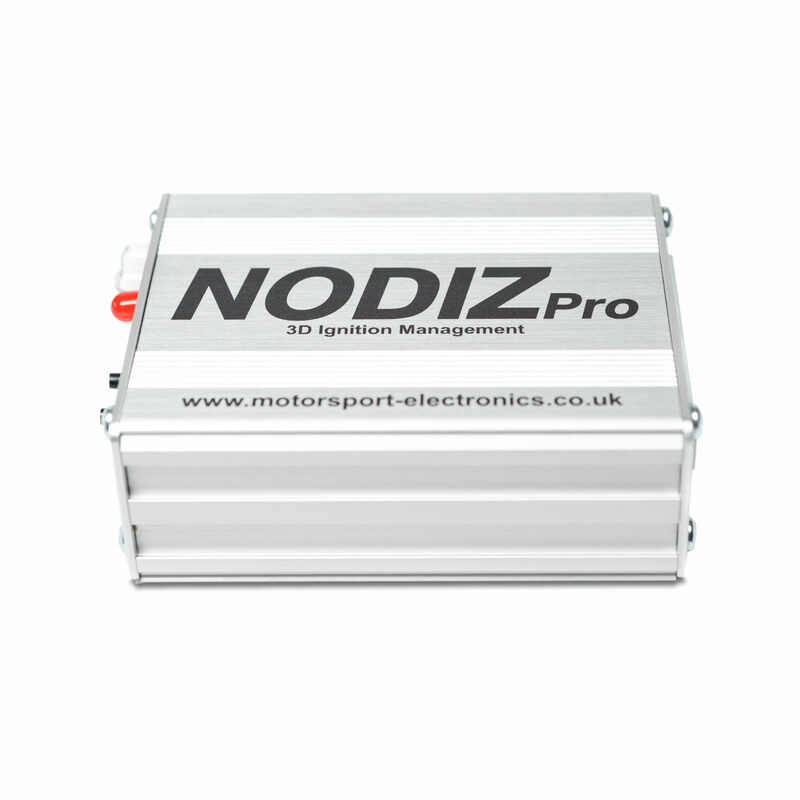 It benefits from inbuilt coil drivers, (so no need for EDIS modules or external igniters), as well as it also supporting factory trigger wheels as used on various engines such as Vauxhall, Peugeot, Citroen, VW and of course Ford. The units arrive with a fully terminated loom to suit the engine it has been configured for (VAUXHALL in this case – please see the images to confirm they match your engine), as well as loaded with an optimised base-map that has been developed in house on our L&S engine dynamometer and rolling road tuned our Dyno-Dynamics rolling road. 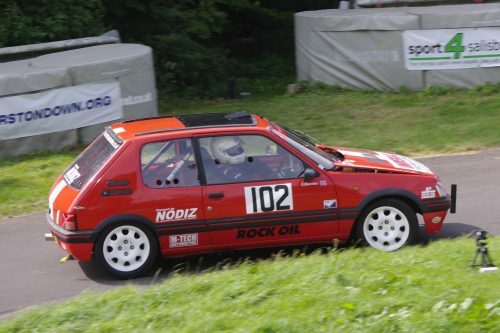 If you would like to see how quickly your engine can be up and running, check out this example on a customers track car running a Ford Zetec. 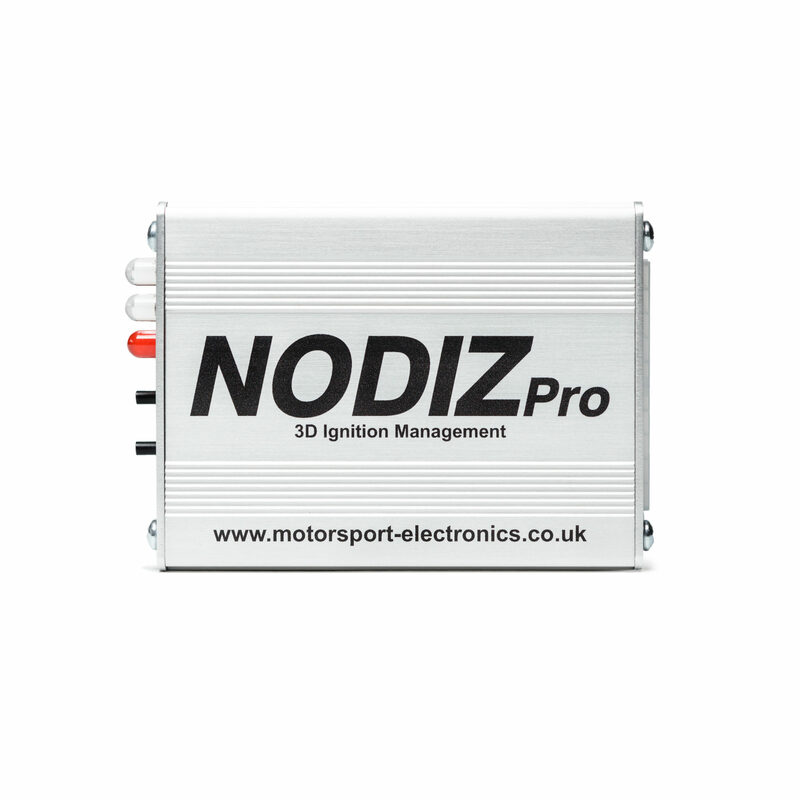 3D Mappable Ignition Controller with Inbuilt Coil Drivers – No EDIS Module or other parts required. 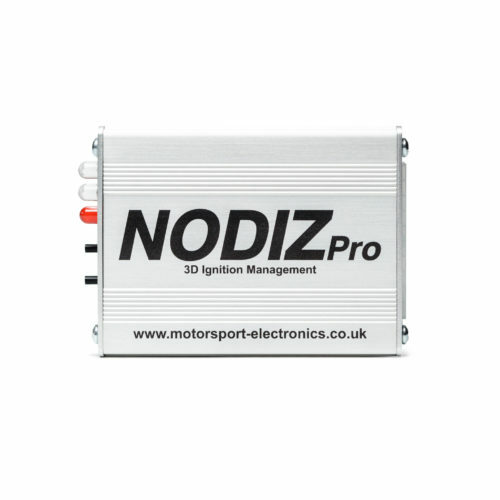 Fully terminated loom to suit the coil pack and crank sensor of your engine – click on and start! 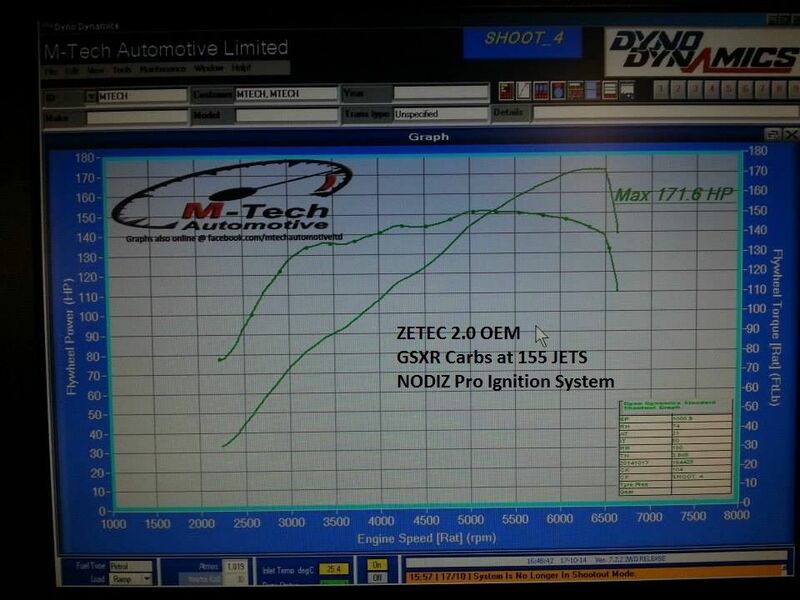 Dyno optimised pre-loaded ignition map – excellent power results, safe and reliable. Soft & Hard Cut Limiters – keep the engine safe at high rpms. 12V Tachometer Output – suits most OEM dashboards. 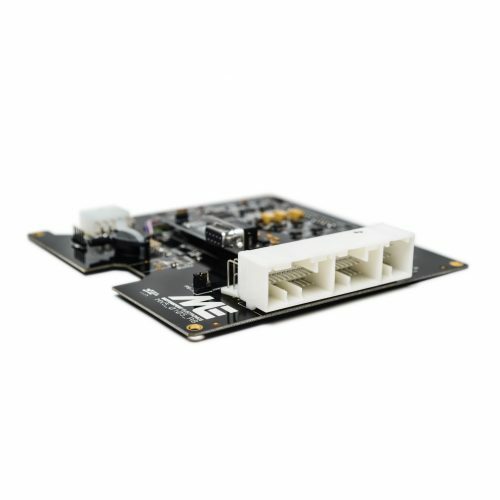 Splash-Proof and small form factor – mount easily in the engine bay. Bluetooth™ – Use the included USB Dongle or use the free dash App for Android. 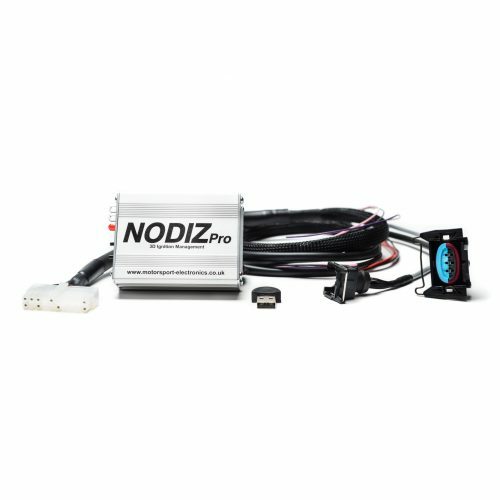 Brand new NODIZ Pro Ignition System with in-house Dyno optimised pre-loaded ignition map. Wiring Loom pre-made and fitted with 3 pin mini-timer crank sensor and 4 pin mini timer coil pack connector, power and ground eyelets and flying leads for TPS/MAP sensor. (Check Images to Ensure correct plugs). 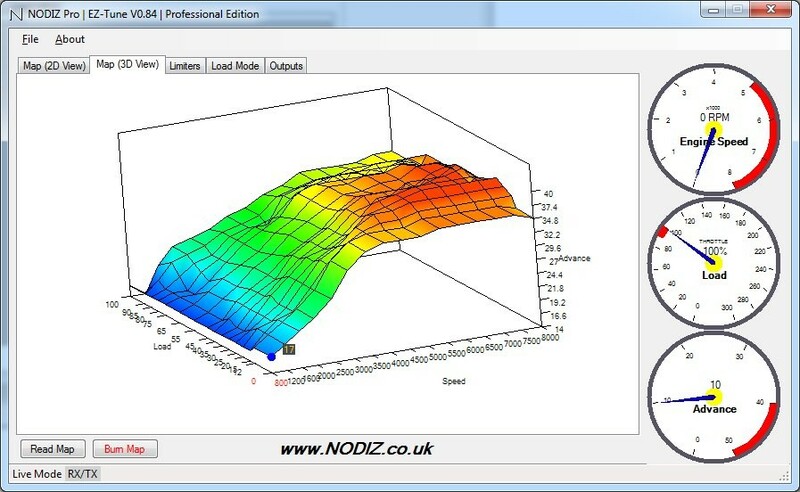 16 Load by 16 Speed Sites, with full 3D interpolation and user definable Speeds/Loads. User settable RPM Soft and Hard Cut Rev Limiters. In-built coil drivers, no need for EDIS or other modules. Cranking based advance angle to help start high compression engines. A programmable Shift Light output. A programmable output based on either RPM (i.e. V-TEC control), coolant temperature (i.e. Fan Control) or Intake temperature (i.e. Water Injection control). For software and manuals please see our Support Section.